Preliminary ProceduresDisconnect the negative battery cable. Refer toBattery Negative Cable Disconnection and Connection.Remove the drive belt. 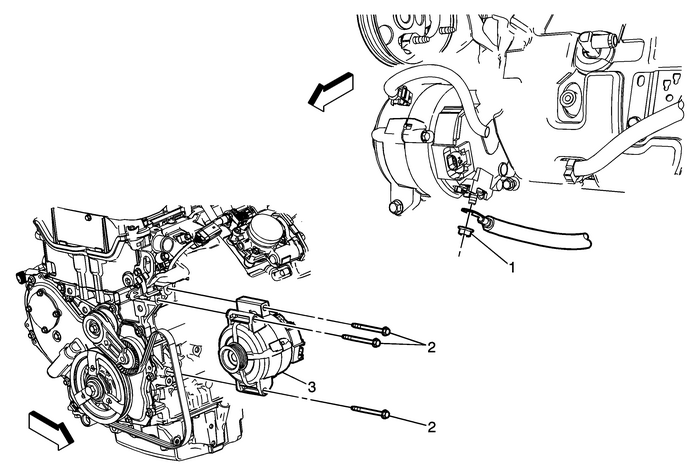 Refer toDrive Belt Replacement.Disconnect the engine harness generator connector.